The Academy of Financial Services will again hold its 2019 annual meeting in conjunction with the Financial Planning Association’s Annual Conference in Minneapolis, MN, mid-October. The AFS Annual Meeting will feature speakers, symposia, several special sessions, posters, and a reception. The academy has, in recent meetings and with generous support of our sponsors, awarded several best paper awards during the luncheon and business meeting. Furthermore, selected papers will be considered for an expedited review for publication in the Financial Services Review. In addition to holding our annual meeting, the Academy and the Financial Planning Association® co-publish the Financial Services Review, a quarterly journal showcasing the latest in theoretical and empirical research in personal financial management. Please refer to our Financial Services Review page for more information. 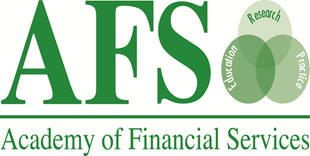 To learn more about the AFS and FPA® agreement regarding the FSR journal, click here.